Many disabled people suffer because they don't know their rights. This film has been made to help. But no film can be definitive, so it is often important to get professional help. 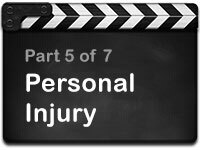 Each of the film's seven segments suggests sources of further advice. If you are deaf you may download the film's narrative script here. 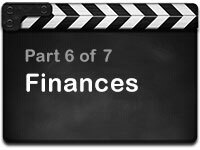 To download a free version of the film for use in presentations or education, please email the producer - click here. 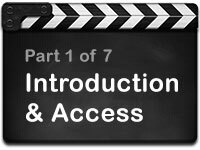 This segment introduces the film and outlines the law in England & Wales as it relates to disabled access to public buildings and business premises. 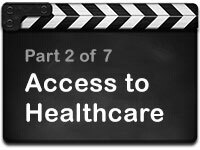 This segment outlines the law in England & Wales as it relates to the rights of a disabled person when accessing healthcare. 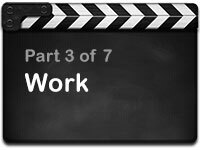 This segment outlines the law in England & Wales as it relates to the rights of a disabled person at work. 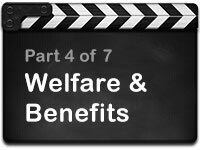 This segment outlines the law in England & Wales as it relates to welfare and benefits - a complex and ever changing topic. a disabled person's management of their finances. 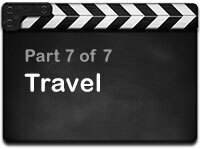 a disabled person's rights when travelling in the UK and overseas. Email Glory Film Co. ©2015 M.Dillistone/Glory Film Co.